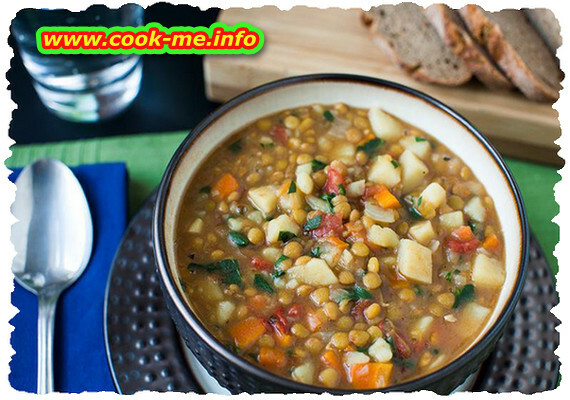 The lentils, vegetables and curry soup is a delicious soup, which can ‘spice up your life’ during cold winter days. Chop the onion into small pieces and the other vegetables into cubes. Fry the vegetables and the curry in oil for about 5 minutes, then add the lentils, the tomato and pour the soup over it. Boil until the lentils is done (50 minutes), stirring from time to time. Serve hot/warm.